I am delighted to join you in celebrating the 70th anniversary of Afghanistan’s membership to the United Nations. Afghanistan is one of the oldest members of the United Nations – the first country to gain membership after the original 51 members. It is very inspiring and having seen some clips of the moments and history of Afghanistan’s engagement with the United Nations is quite inspiring. For me personally, my personal and official relationship with Afghanistan starts from 1972. So such a long time. Until now is over almost over 40 years. And I was very proud to have participated in establishing diplomatic relationship between Korea and Afghanistan in 1973. 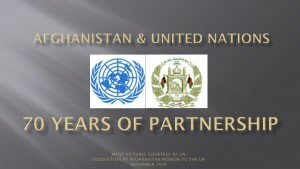 Today as we are celebrating a strong and lasting partnership between United Nations and Afghanistan, I feel very proud that I have been some part of this history, quite long history. 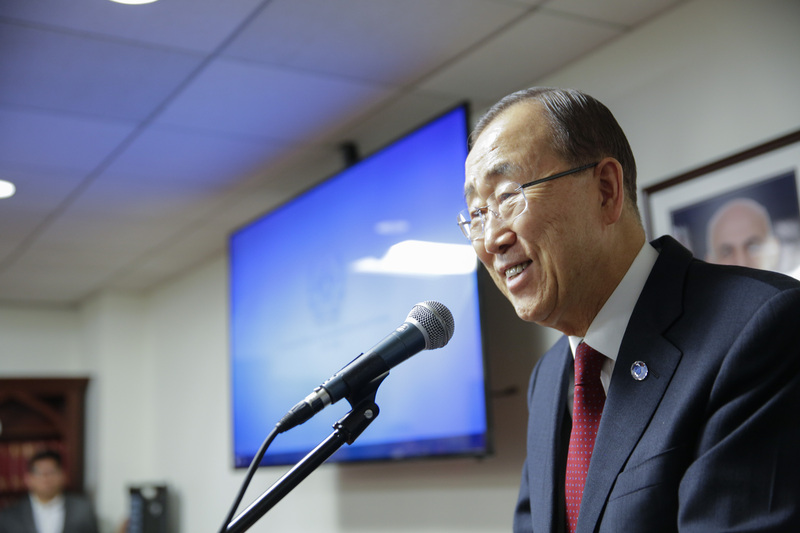 Over seventy years, Afghanistan has made important contributions to the United Nations. It has been a strong advocate of collective action to address common challenges. I welcome Afghanistan’s commitment to implement the Sustainable Development Goals. Afghans continue to serve the Organization with dedication and distinction at all levels, from headquarters to the field. In Afghanistan itself, our partnership is marked by close cooperation that dates back to 1949, when the first UN agencies began working in the country. 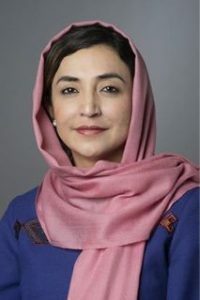 Since 2002, UNAMA – the United Nations Assistance Mission in Afghanistan – has been promoting coherent international support and working with the Afghan Government towards a secure, prosperous and democratic future for all Afghans. This has been a challenging year for Afghanistan. The ongoing conflict and governance challenges remain a threat to the hopes and human rights of the country’s men, women and children. As the Secretary-General of the United Nations, I have spend a lot of time, engagement, and energy to work for peace and stability of Afghanistan. I have maintained a very close relationship with the former President Karzai and current President Ashraf Ghani and CE Abdullah Abdullah. When I was working as the chef de cabinet to the President of the General Assembly, I first met Mr. Abdullah Abdullah. At that time, he was then the foreign minister and at that time the President of the General Assembly participated in the Tokyo conference in 2001. And since then I have been involved in, myself, as a Secretary-General, I have visited many times, Kabul to participate in peace conference and bilateral visits with Afghanistan’s leaders. Most recently I had a very good meeting with President Ashraf Ghani at Brussels in the margins of the international conference in Brussels which was held in Belgium, and I was honoured at that time to have been decorated with the highest civilian honour of Afghanistan from President Ashraf Ghani. And I take it as my personal honour. At that time, I told President Ghani through my brief remarks that I receive the distinction on behalf of many UN staff who have been working for peace and stability of Afghanistan. Once again I applaud the Afghan people for their resolve. I am encouraged by the continued commitment of the international community, as clearly demonstrated at the recent Warsaw Summit and Brussels Conference. Let us redouble our efforts to translate this support into real progress. Once again, I congratulate Afghanistan on the 70th anniversary of its membership in the United Nations and I wish the people and Government of Afghanistan continued peace and stability and prosperity and democratic institutions. Thank you very much. Congratulations.